Last week we talked about organizing your toy area. 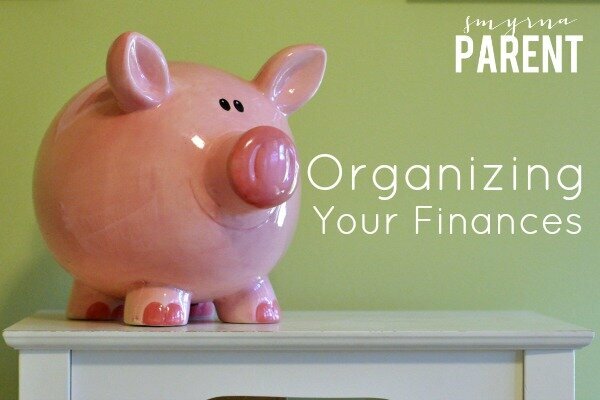 But after the holidays, your financial situation is probably in need of a little organizing as well. I was talking with my brother-in-law, an Edward Jones financial advisor, about this blog topic, and while he cannot give blanket advice via a blog like this, he did point me to the following article, which I thought was worth a pass along. If you’ve just had a new baby, your life is filled with more joy (but less sleep). You’re probably already aware of the time and effort you must invest in raising your child, but you may not have thought as much about another aspect — the financial one. Purchase sufficient life insurance. When it was just you and your spouse, it was a good idea for you to have life insurance — but now that you have a child, it’s an absolute necessity. If you have any doubts about the value of life insurance, just look again at that $222,360 figure above, and then tack on the costs of four years of college. If you or your spouse were to die unexpectedly, would the survivor earn enough to raise and educate your child? In this day and age, that’s not likely — so make sure you have adequate life insurance in place. Prepare a will. Obviously, you hope to enjoy a long life — one in which you see your child grow to adulthood. But none of us can predict the future, so it’s essential that you draw up a will to provide for the care of your child, both financially and physically. When you create a will, you can name a guardian to step in and take care of your child, if necessary, and you can make sure your child receives your financial assets. However, many people go beyond writing a will and establish a living trust, which gives them more control over how and when they want their assets distributed. Your legal advisor can help you prepare a will and determine if a living trust is appropriate for your needs. Maintain adequate cash. To help pay for all those expenses related to child rearing, keep enough cash on hand. By having enough resources available in liquid accounts, you can avoid having to dip into your long-term investments to pay for short-term needs. Save early and often for college. It’s never too soon to start saving for the high costs of higher education. A 529 plan is a tax-advantaged vehicle and may be a great option for your college savings. Contributions to a 529 plan are made with after-tax dollars, and have the opportunity to grow tax-free. Withdrawals used for qualified higher education expenses are also tax free. Furthermore, your 529 plan contributions may be eligible for a state tax deduction or credit depending on the plan and state. Stay balanced. As we’ve seen, it takes a lot of money to raise a child. But even as you’re meeting these expenses, think about your own future, particularly your retirement. Strive to strike a balance between the money you spend on your child and the amount you invest in your 401(k), IRA and other retirement-savings vehicles. You can’t put a price-tag on your child’s future, but when it comes to taking care of that child, you’ll want to know the costs involved — and be prepared for them. This article was written by Edward Jones for use by Kinney Taylor an Edward Jones Financial Advisor. Edward Jones, its employees and financial advisors can not provide tax or legal advice. Please consult your tax or legal professional regarding your particular situation.